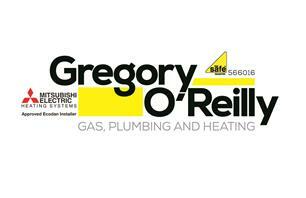 Gregory O'Reilly - Central Heating Engineer, Plumber based in Stevenage, Hertfordshire. Welcome to Gregory O'Reilly Gas, Plumbing and Heating. We are a professional, Gas Safe registered business based in Stevenage but covering all other surrounding areas of Hertfordshire with quality plumbing & heating services. With over twelve years experience and certified in both domestic and commercial gas our services cover all minor and major plumbing works; from fitting a kitchen sink to the installation of a complete heating system. Bathroom Suites: From changing a tap, to doing a full Bathroom/Shower Installation. Hot water Cylinders: From a straight swap vented cylinder to installing an unvented mains pressurised cylinder, and change of immersion heaters. Gas: Our Gas services include installation, removal of Gas cookers, general gas pipework. Power Flushing: We offer a power flushing service that cleans sludge, and debris from pipework, radiators and boilers.